From Testing Microservices with Mountebank by Brandon Byars. 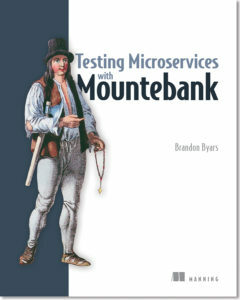 Take 40% off Testing Microservices with Mountebank. Just enter code anbyars into the discount code box at checkout at manning.com. Software testing is an essential part of the development process, but with microservices it can be tricky. How do you test individual microservices in isolation? Mountebank uses virtualization to test individual microservices by creating “imposters.” See how response generation works in the animation below.